This short poetry lesson benefits student understanding of poetry. Used before beginning a unit on poetry, the activities in this product guide students to formulate a definition of poetry which they will then compare to the definitions in a dictionary and by various poets. The goal is for students to refine their thinking about what poetry is, how accessible it can be to them, and how reading it can be of benefit. 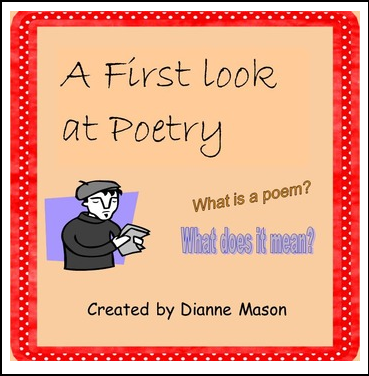 A list of suggested poems about poetry to use in classroom discussion is included along with a glossary of terms. This product is also available as part of a discounted bundle Understanding Poetry along with How to Closely Read a Poem and Using Prose to Understand Poetry. It is also part of another, larger 50% discounted bundle of 8 lessons 8 poetry Lessons Bundle. Don't forget to leave feedback after you purchase this product. I value such input, and TpT gives you credits that can be used towards the purchase of products from any TpT store. Thanks!